I came back from Turkey in such a weird, panicky way after all the coup attempt and whatnot, that the only thing I could bring with me happened to be a mezze cookbook that I bought at Istanbul Airport. 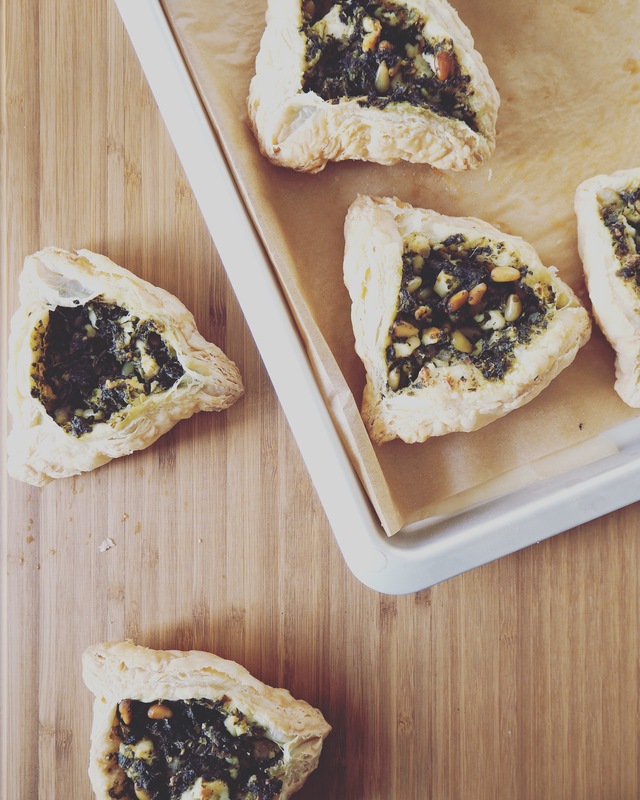 This spinach pastry is inspired by a recipe from that book. 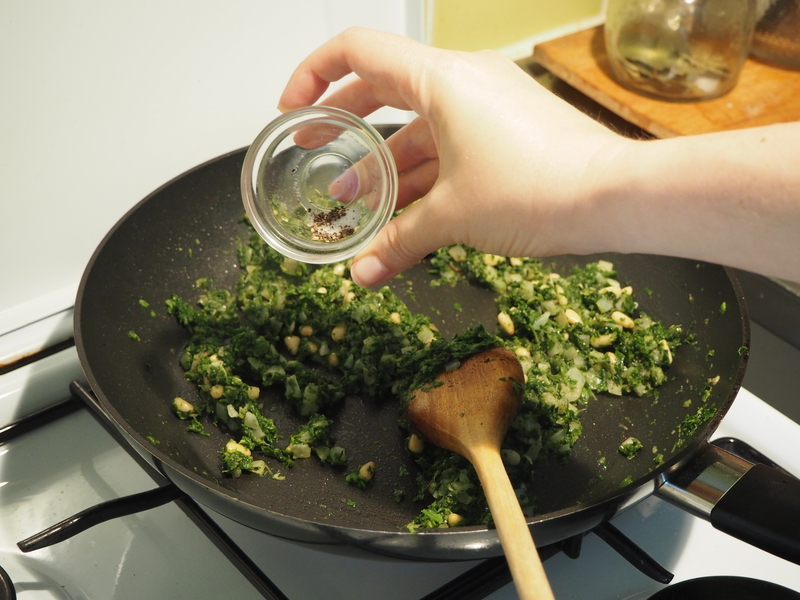 The main difference: I didn’t put the freaking dill in my version!! 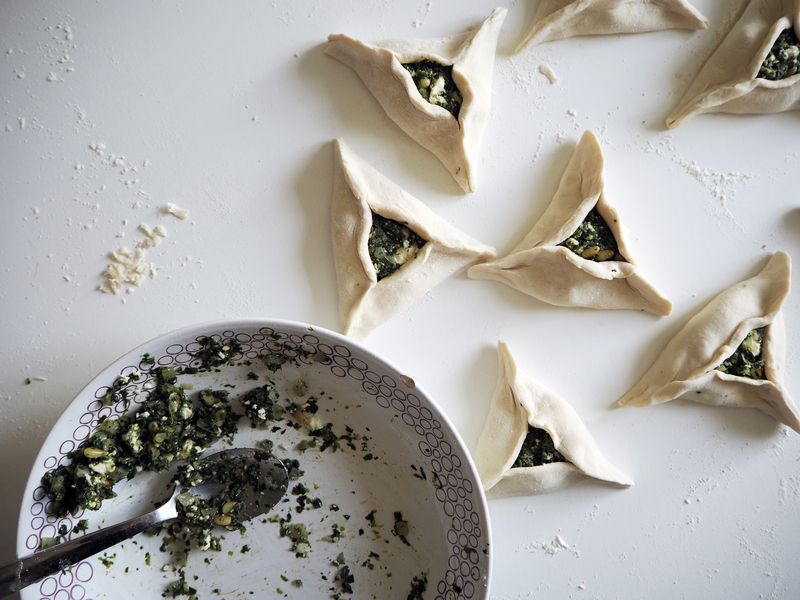 Spinach pastry is quite a common one in Turkish cuisine. 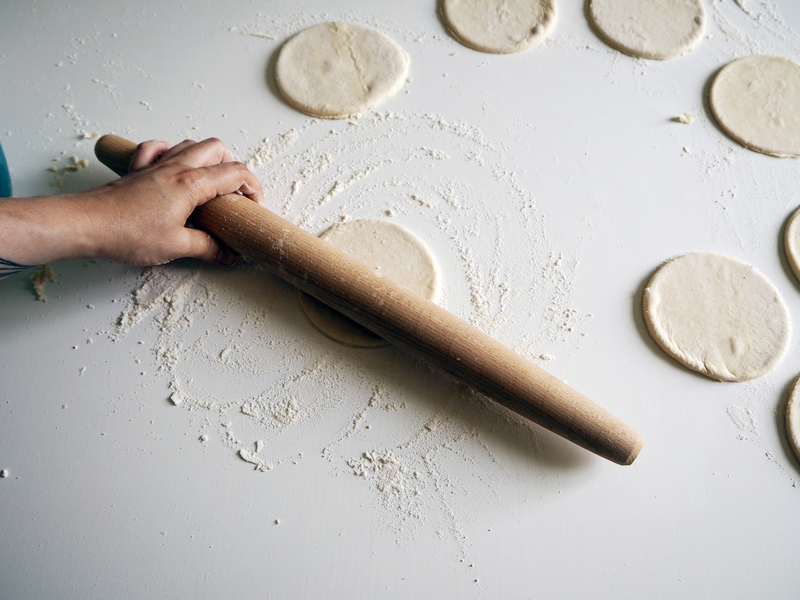 In Turkish, this kind of pastries is called “börek”. 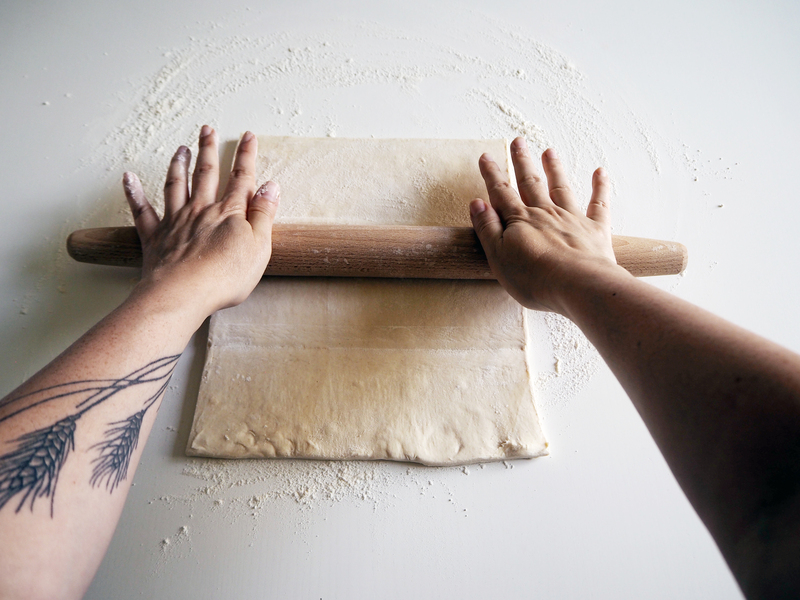 They are generally salty pastries with many different kinds of fillings and different types of dough. However, I’ve also seen some sweet versions. Personally, I am no Popeye. 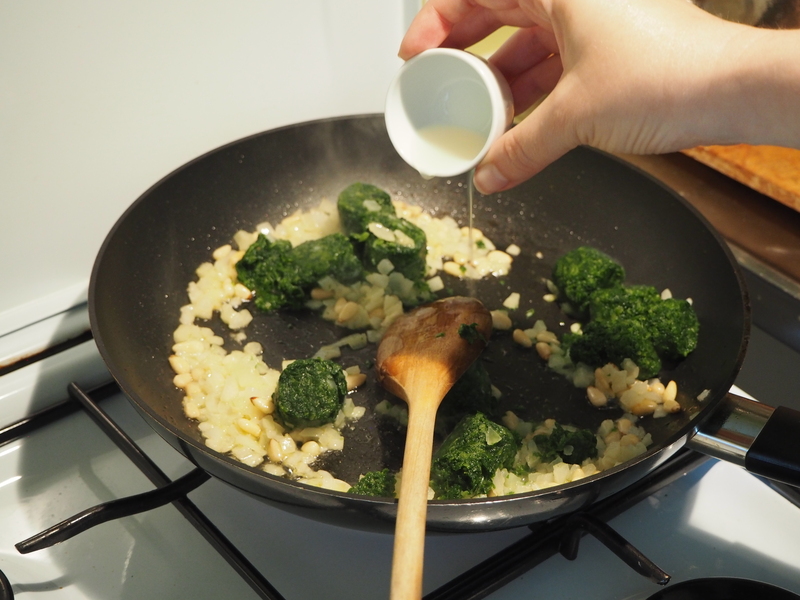 I can barely stand spinach. 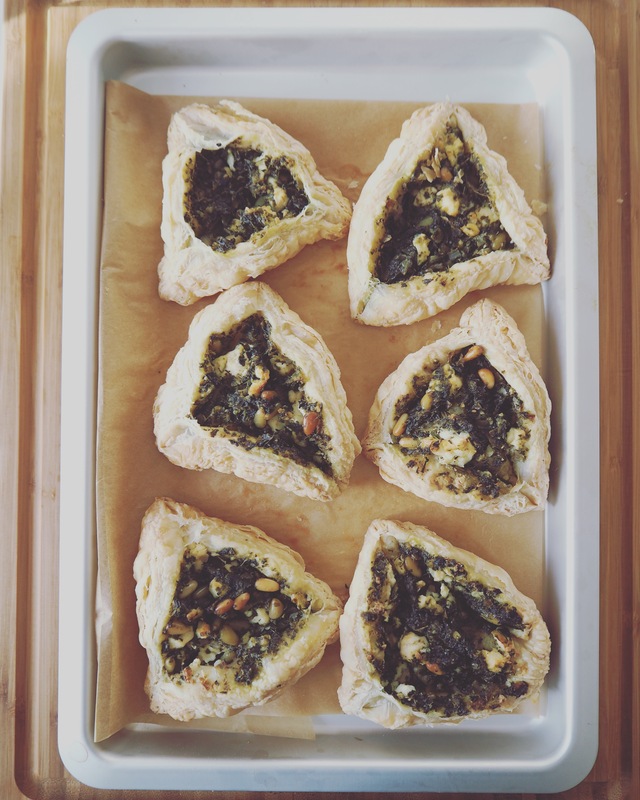 Yet, this pastry has onions, pine nuts and feta too. Together, they make a great combination. 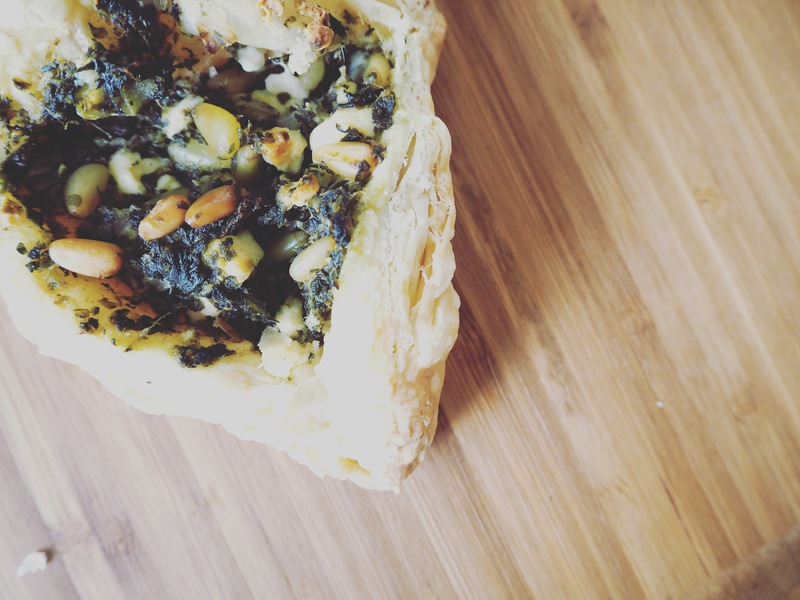 Plus, the buttery puff pastry always brings good vibes. 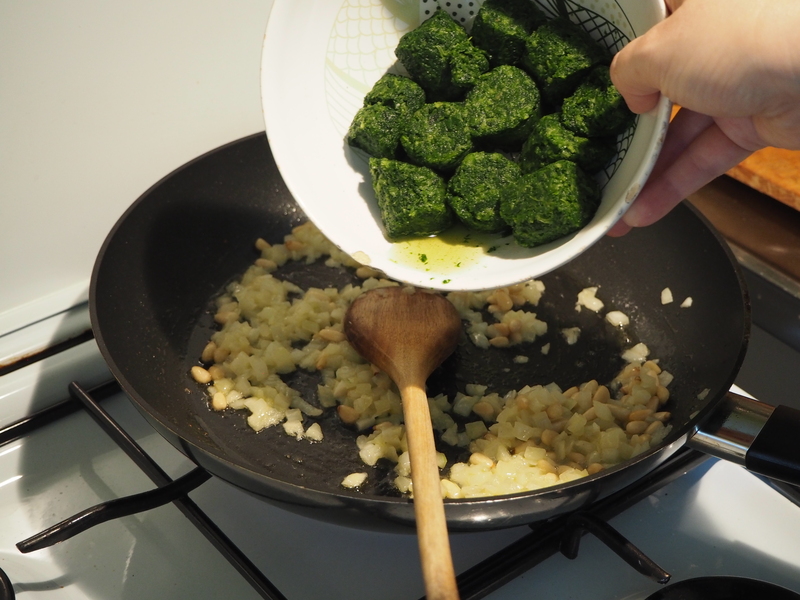 However, my absolute favourite börek filling is potatoes and I shall give you such a börek recipe soon enough, promise! 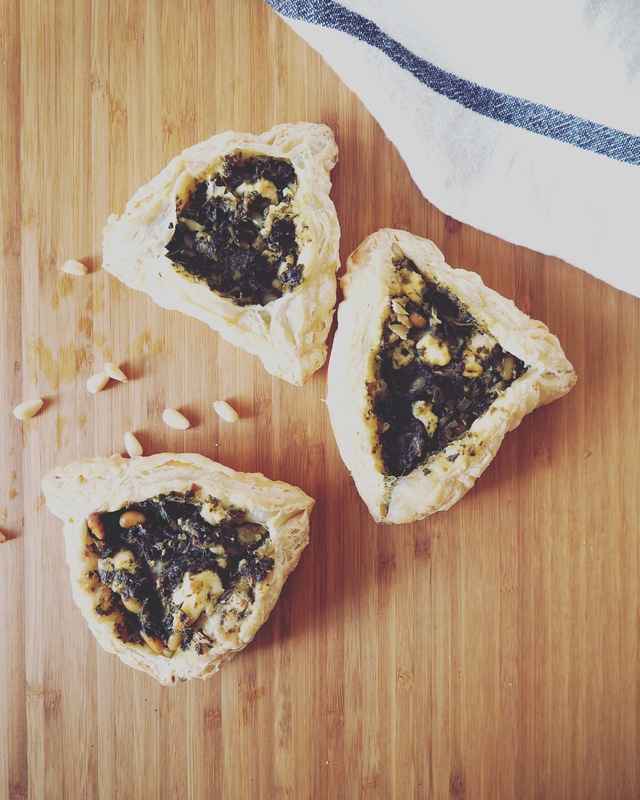 Ok, enough with the spinach story, let’s get on with baking, shall we? 2. 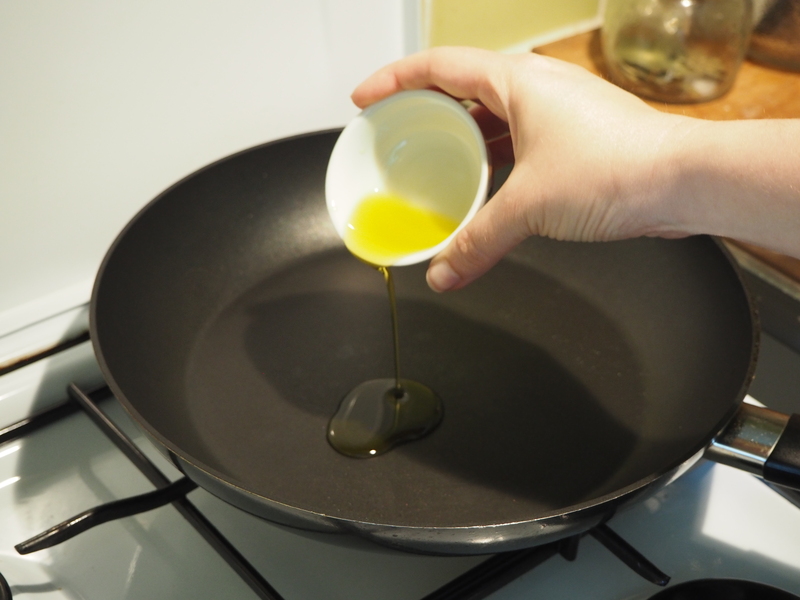 In a medium pan on medium heat, put olive oil and warm it a little. 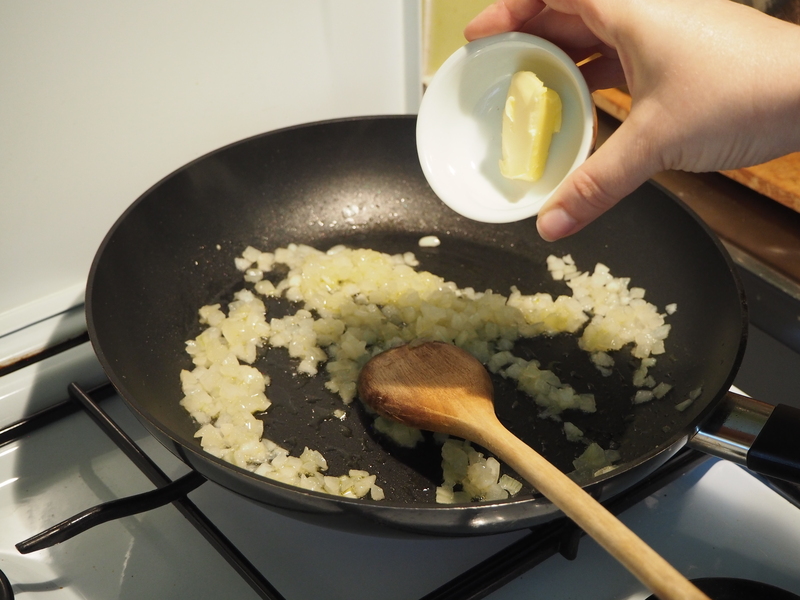 Add onion cubes and butter. 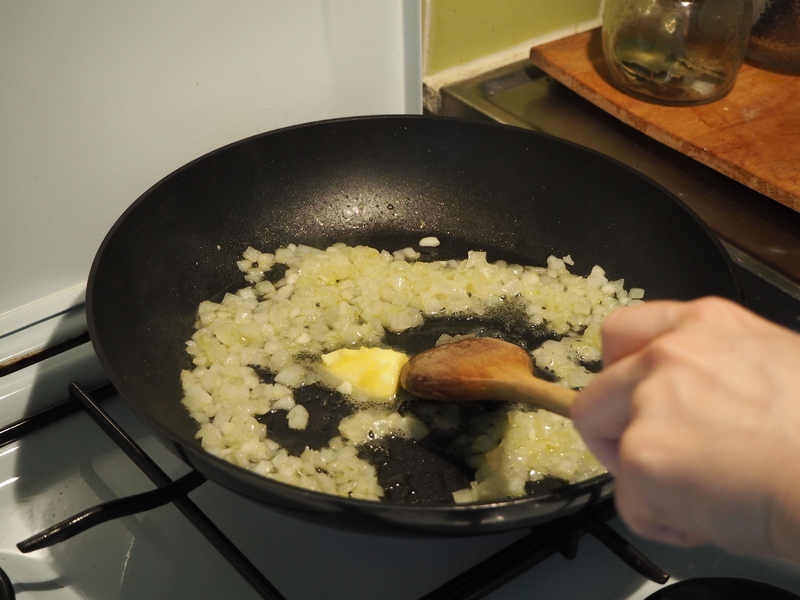 Sauté the onions until they are translucent. 3. 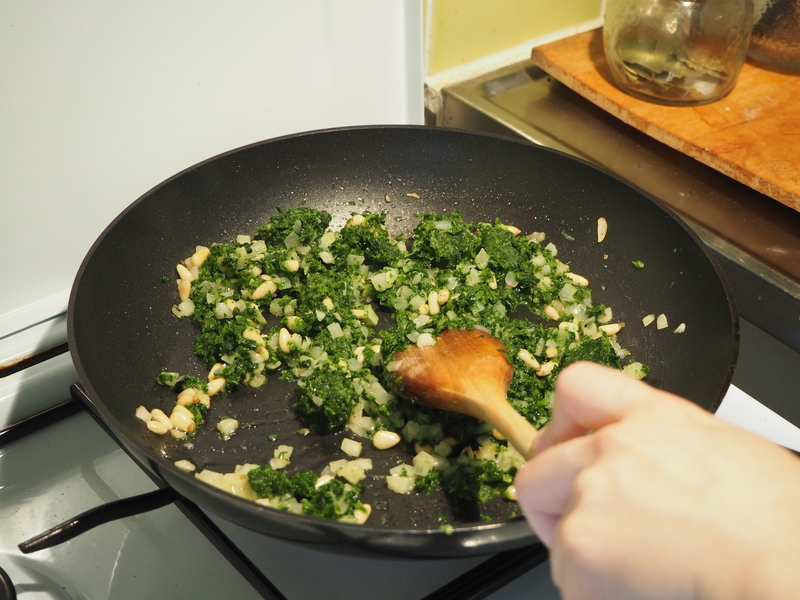 Add pine nuts, spinach and lemon juice. 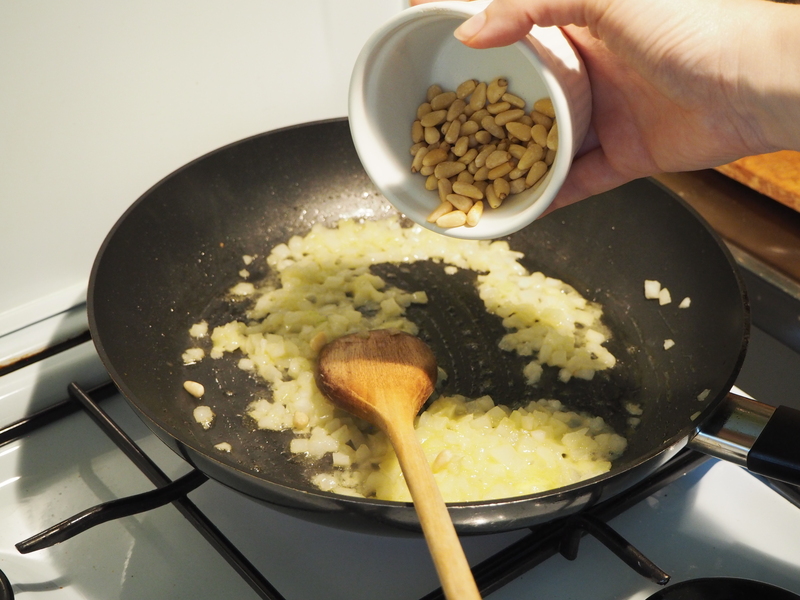 Continue stirring until pine nuts start to roast (but do not burn them). 4. 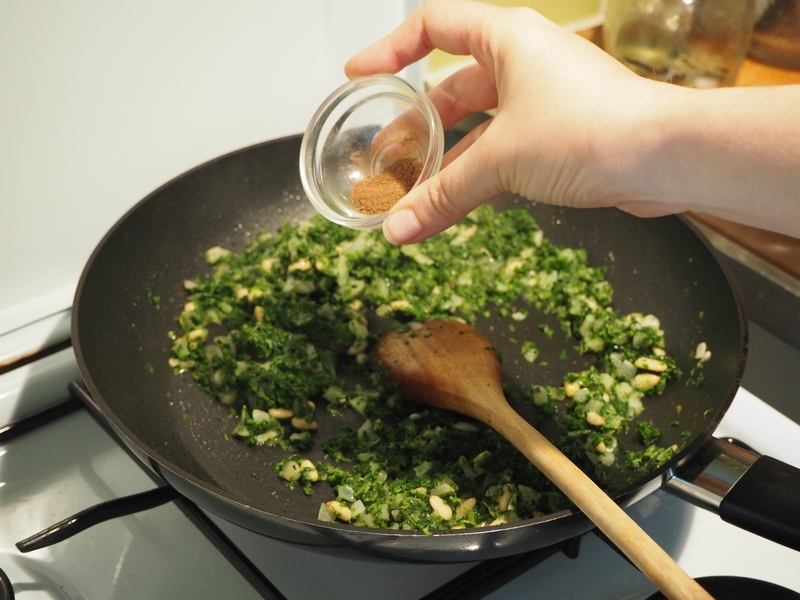 Add allspice, salt and pepper, stir a bit and take it away from the heat. Leave it to cool down. 6. 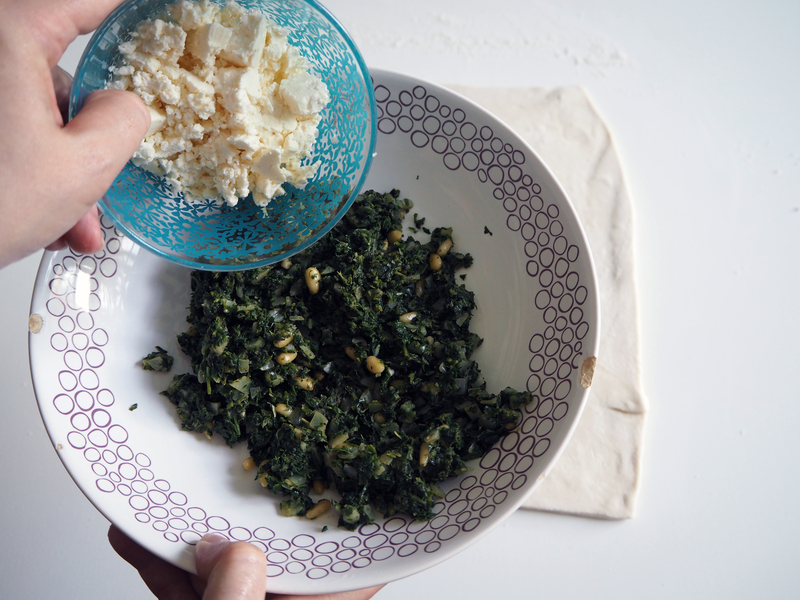 Add feta crumbles to spinach mixture, mix it well. 7. 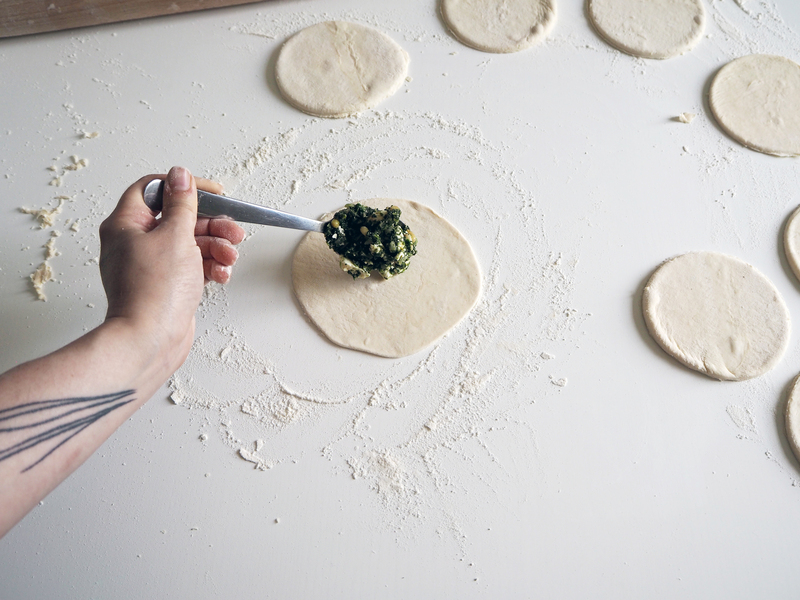 Cut circles from the pastry sheet. I used the rim of a 10-cm bowl to cut the circles, having 8 circles in the end. Roll each circle just a bit more, to get just a little thinner circles. 8. 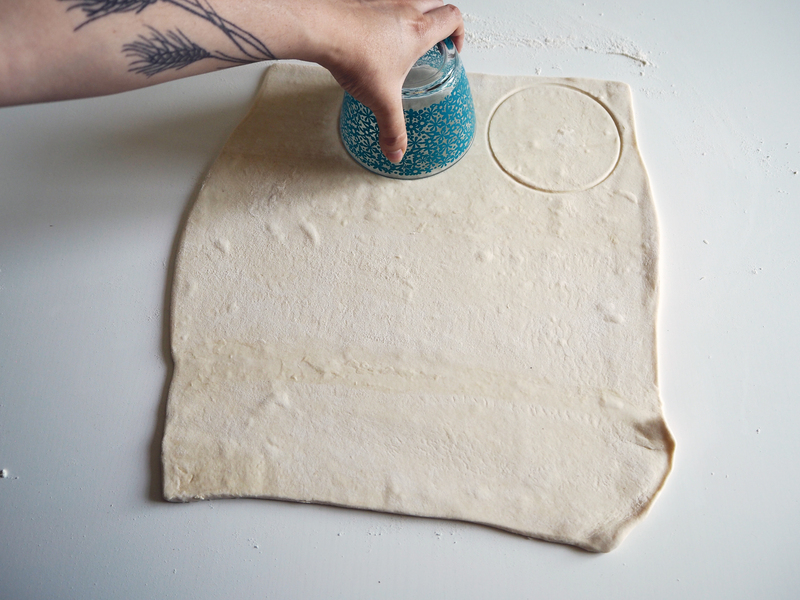 Put generous 1-2 tbsp of filling on the centre of each circle. 9. Fold the circles as seen in the picture to get triangles. 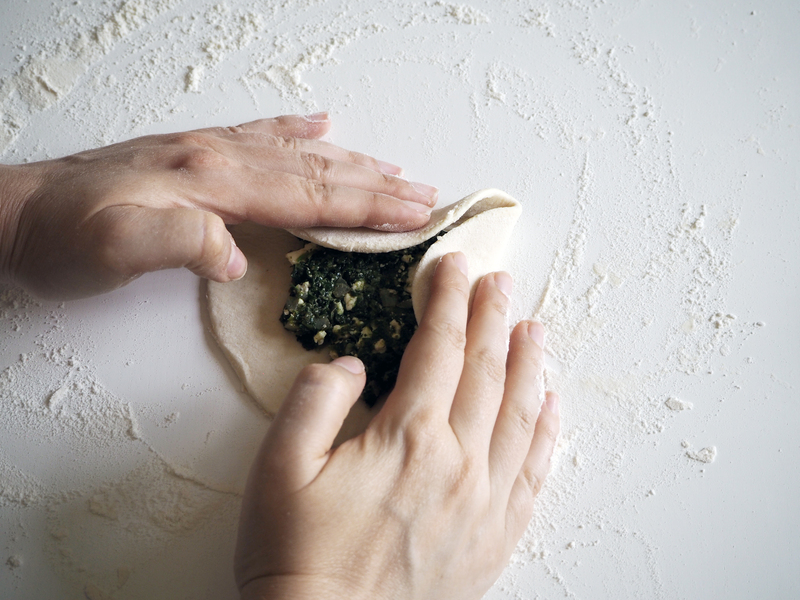 Pinch the edges well to seal. 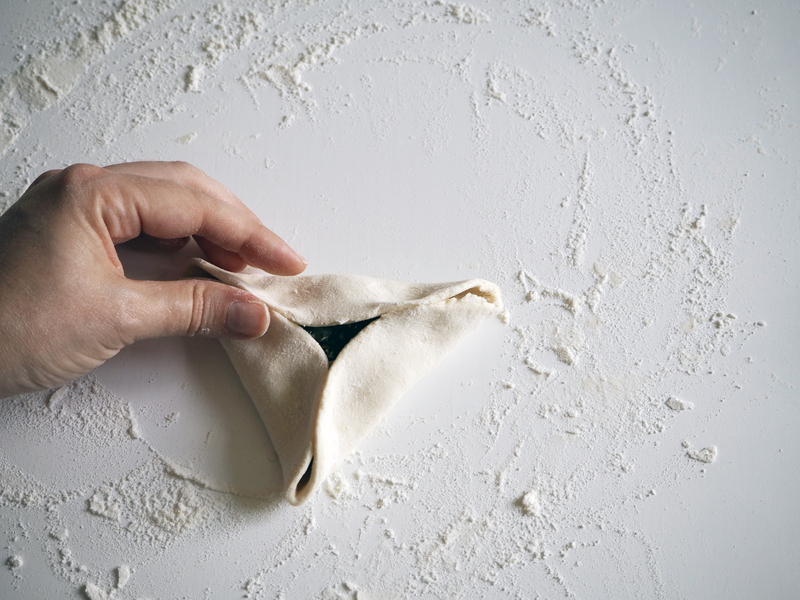 As it is puff pastry, it will “puff” in the oven and the closed shapes will open up anyway. But it is good to start with well-sealed shapes. 10. 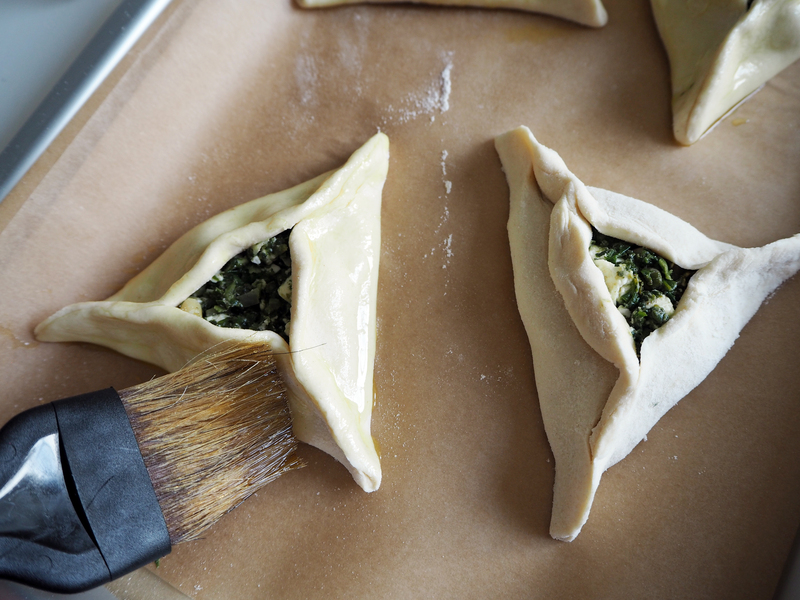 Brush each pastry generously with olive oil. Put on a baking sheet and in the middle rack of the oven. 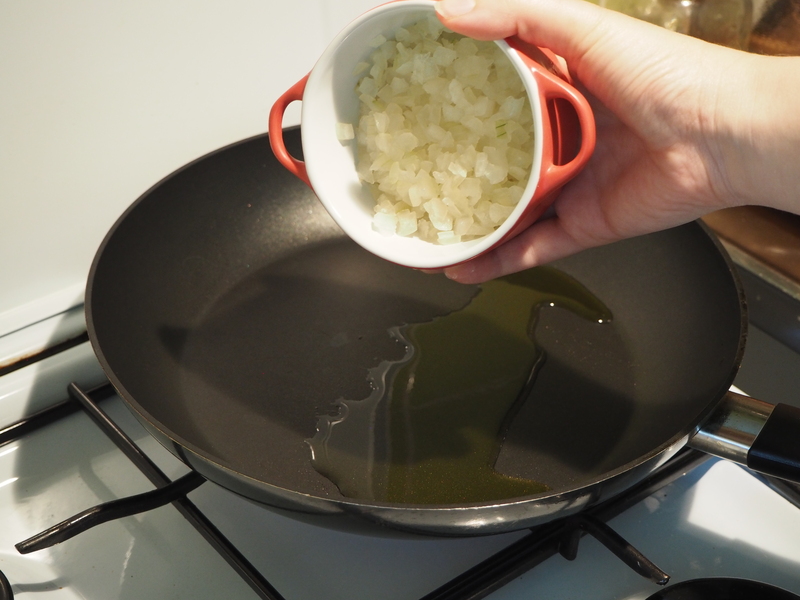 Bake for about 35 minutes, or until they are browned (but do not burn them!). Better eat them all the same day, when they are fresh. Enjoy! 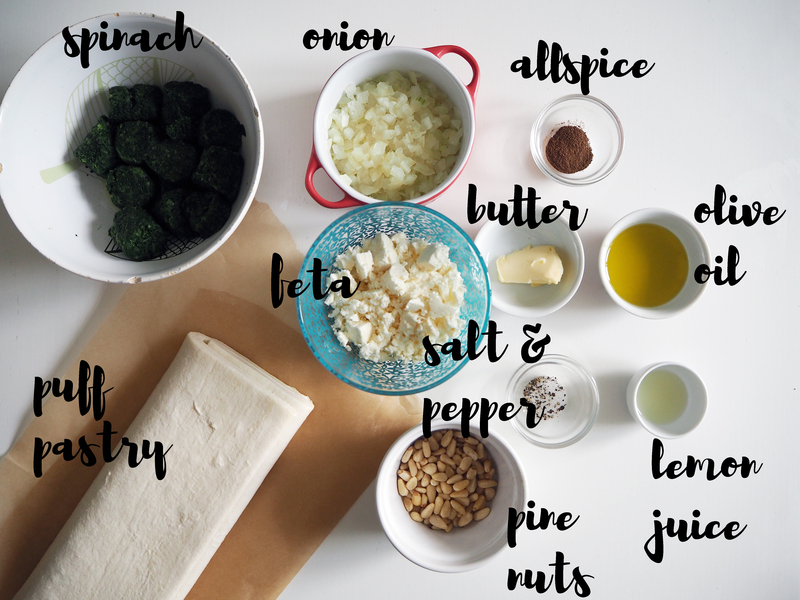 Next PostMuhammara (Well, Kind of) – Mum’s Version!